Since their debut album, English rockers Band of Skulls have only gone from strength to strength. Rather than occupy a single genre, they’ve made themselves a veritable indie powerhouse, with Sweet Sour including tracks that range from gentle acoustic tunes to rockers that demand the volume be cranked to 11. Like The Dead Weather, they switch off male and female vocals and do it well, unlike some other acts that have suffered for that duality. The title track is the opener and a call to arms. “Sweet Sour” is a strong, ballsy entrance with metal guitar riffs but lyrics that still retain a singalong quality. There are notes of The Smashing Pumpkins in their heyday only with a bit more melody. Another rocking track, “The Devil Takes Care of His Own,” has shades of The White Stripes if Meg White happened to be a more capable drummer. 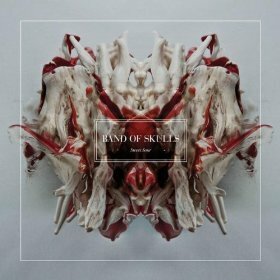 On the other side of the coin, Band of Skulls hold their own when the bombast is stripped back. “Lay My Head Down” is surprisingly vulnerable, as is the slow-burning “Navigate,” which builds to crashing cymbals and intricate guitar only to quiet down again. It’s impossible to pin down Band of Skulls, which is really just a sign of how far they’ll go. From indie rockers to metal heads, music fans can find something to enjoy on Sweet Sour, even if the album doesn’t necessarily hold together with an overarching theme.